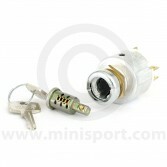  As part of our Electrical & Lighting department, here at Mini Sport, we stock a selection of Ignition Starter Switches for use in all Classic Mini Models including Mk1, Mini Cooper and Mini Cooper S. At Mini Sport, we stock a selection of Ignition Starter Switches for use in all Classic Mini models. 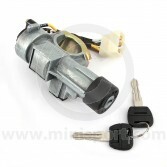 We supply the floor starter switch for the early MK1 Mini, the dashboard switch and barrel and steering lock and ignition switch assemblies for Mini’s from 1976-1996 and Mini’s from 1997-2001. 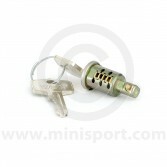 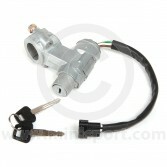 We also stock competition style push button starter switch panels for Motorsport and fast road use. 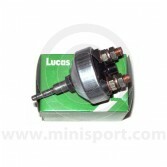 For more electrical options, take a look at Mini Sport’s ranges of Ignition Coils, Ignition Leads, Injection Sensors, Alternators and Battery Fittings as part of our Electrical & Lighting department.